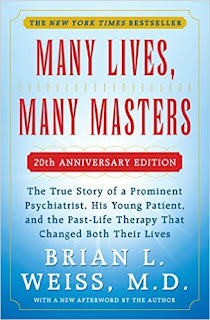 A friend of mine gave me a book called "Many Lives Many Masters " by Brian L. Weiss. 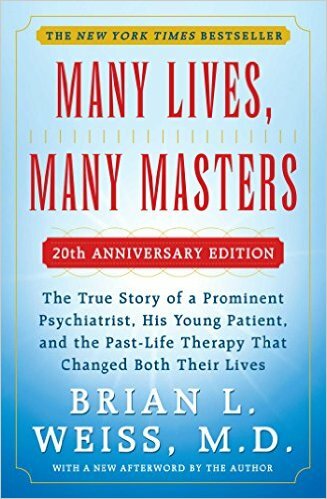 It is a fascinating book about his experiences as a psychiatrist with a specific patient and how he helped her using hypnosis. Before reading this book, I had never really given much thought to reincarnation. However, after reading this book I realized that we are on a spiritual journey that has involved many lifetimes. In these lifetimes, we are working on our spiritual evolution so that we may someday achieve enlightenment or ascension. In this book, Dr. Weiss, who was chief of psychiatry at a Miami hospital at the time, began to see a patient for severe depression and anxiety. For 18 months he tried conventional therapies without much success. Then he decided to try hypnosis and during these trance induced states she started recalling "past-life" memories. She also acted as a conduit for "Ascended Masters" who revealed much about the secrets of life and death. After just a few months of this hypnosis therapy, she was symptom free and happier than ever. This book is an easy read and was hard to put down once I started reading it. Enjoy.